Time to leave the city for this luxurious custom Tuscan Copperleaf home. H/W floors, 8' Adler doors, two 12' glass slider doors, giant slabs of granite w/ Thermodor appliances, barrel ceiling, custom glass backsplash design, 2 story stone fireplace, covered rear deck, master bedroom w/dual closets, curved dual head shower, soaking tub, heated bathroom floors, walkout to patio; office with deck. Lower level features 10ft ceilings, 3 bedrooms, theater room, wine cellar, gym room w/ steam shower. Two 2-car garages. Dual A/C & furnaces, instant hot water, electrostatic air cleaner, two 50-gallon HWHs, humidifier, home automation system. 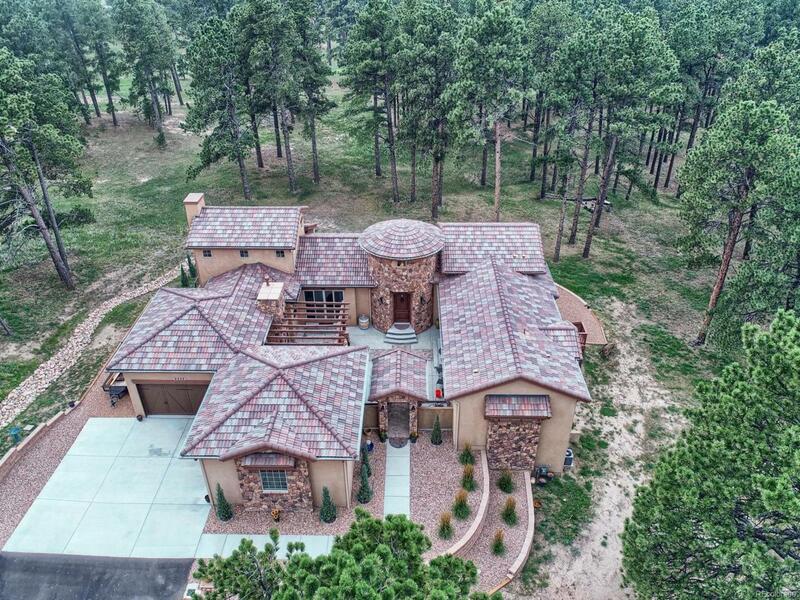 2.78 acres, surrounded by tall pines. Serene, peaceful setting, triple walkout basement awaits you. From the gated portico entry, patio with large fireplace, pergola, and room for the largest family gathering, to the wooden front door entry into the stone turret, the details of this home are unsurpassed. Offered by Broadmoor Bluffs Realty.